Home » Do Employers Really Bother Calling on Your References? As one of the many people who make reference calls daily I can tell you that yes, yes we do. On average I spend 6-8 hours per week calling all of the references that are in our candidate’s files. That is one whole work day dedicated to just making reference calls. During this time I have found a few things that are now pet peeves of mine. I’m hoping that putting them into words and shooting them off into the blogosphere will start to eliminate them in the future. Make sure you list the most recent references available to ensure we have an updated idea of what it is like to work with you. Obviously, we understand that sometimes you don’t want to let your current employer know you are searching for another opportunity, but letting a few trusted coworkers know what is going on would be a good idea. The thing to keep in mind when you are asked for references is the Rule of Three: one manager and two coworkers. We understand if you really want a job you’re going to want to have the best references in the world, but this is not the place to list your best friend’s information. We can always tell when they are trying to come up with the right information to reflect your work history. It hurts you more than it helps, so don’t do it! Always, always, always ask them if they are willing to be a reference for you! I have lost count of the amount of times I have called people who have no idea who I’m asking them about. It’s a simple and quick conversation that will let them know to expect our call and to make sure that they remember who you are. Also, let them know that your employment with the company might be pending because of their reference. If we have to leave them a voicemail, calling us back within 24 hours is best. This way we can get your completed file over to our clients who want to meet with you! These are YOUR references. They are supposed to benefit you and your job search, so don’t shoot yourself in the foot by not providing good ones. 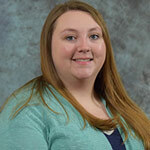 Jessica Hurley has been an Office Coordinator for Celebrity Staff since January 2017. Before working at Celebrity Staff, Jessica worked for a local construction company as their Payroll Administrator and Human Resource Assistant as well as surviving four years in the retail world. In her time outside of work, she enjoys camping with her boyfriend, trying new restaurants, and curling up on the couch with a good book and her two cats.